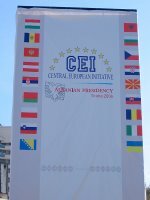 The Central European Initiative (CEI) was in town last month. At the start of November the CEI Parliamentary Assembly met. Last week we had the CEI Youth Forum in Durres, the Economic Forum and the Heads of Government meeting. Thankfully, the delegations from the 18 member countries have not yet reached that level of self-importance that requires 30 car motorcades so the traffic was no more chaotic than usual. Apart from a few posters, and some extra security there were very few signs of their presence. 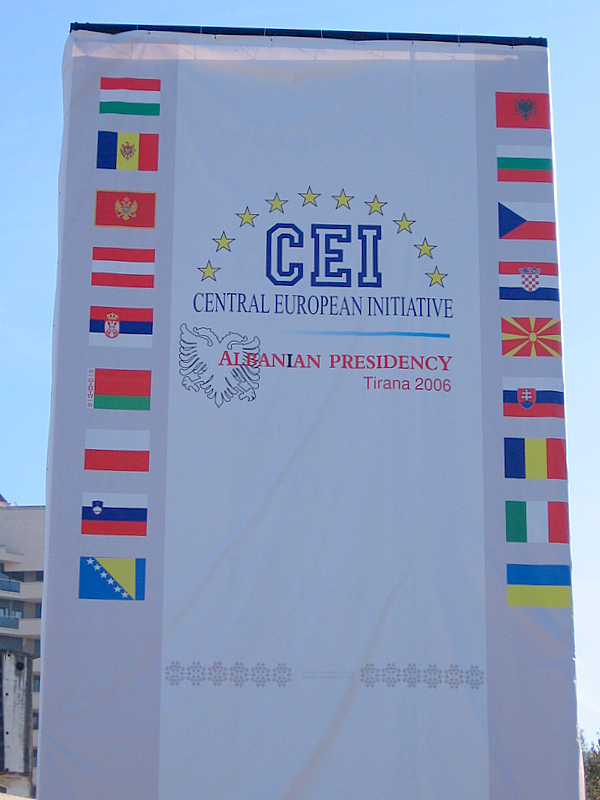 The CEI was established in 1989 as an intergovernmental forum for political, economic and cultural co-operation among its Member States. Its main aim was to help transition countries in Central Europe come closer to the EU. In the second half of 1990’s, the extension of its membership to South-eastern and Eastern Europe refocused its priorities on countries in special need. One of CEI’s objectives is to bring the countries of Central and Eastern Europe closer together and assist them in their preparation process for EU membership. I haven't managed to find out much more about what was discussed or what conclusions were reached and commitments made. The IHT did carry this brief report, though.